Sleeping on your hair can be a dangerous case; so many bad things are bound to happen to your bare head while you sleep. You can lose volume, break your hair and tangle it to unbearable measures. In order to keep your hair healthy you must maintain it and by maintaining it, that doesn’t just mean wash and condition. Here are a few tips to help you protect your hair while sleeping. As crazy as it sounds, tying your hair up is the safest measure. This keeps your hair from moving all over your head while you sleep. Consequently this means your hair is protected from root to end and won’t encounter harsh movement. Tying your hair up helps prevent breakage, frizz and tangles. 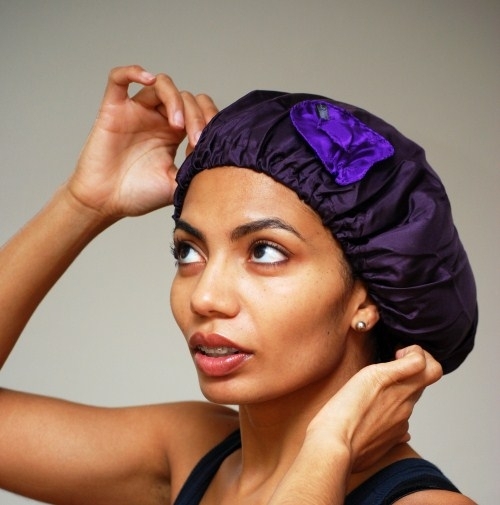 Use a satin bonnet or wrap scarf infuse softness against your sensitive hair follicles. The trick for taking care of your hair while you sleep is to keep it out of harms way. Braiding your hair keeps your hair neat and organized so that it’s not all over your head. In terms you won’t wake up to horrific tangles, and you will have an effortless wavy style for the next day! The Pineapple Method is a curly head’s best friend. The term pineapple comes from scrunching all of your curls to the top of your head and wrapping it in a ‘high ponytail’ on top of your head while you sleep. 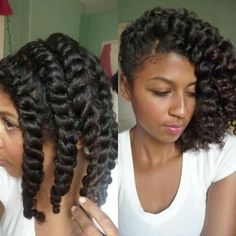 With curls, you don’t want to comb them too often because it will stress the curl pattern, so sleeping in a pineapple a few days helps to maintain your natural curls. When you awake, you simply shake and rake your curls, reapply moisture and go! What are your everyday protective sleep styles? Share your tips with us by commenting below! This entry was posted in Hair, How To and tagged featured, night care routine, pineapples, regimen. Bookmark the permalink.